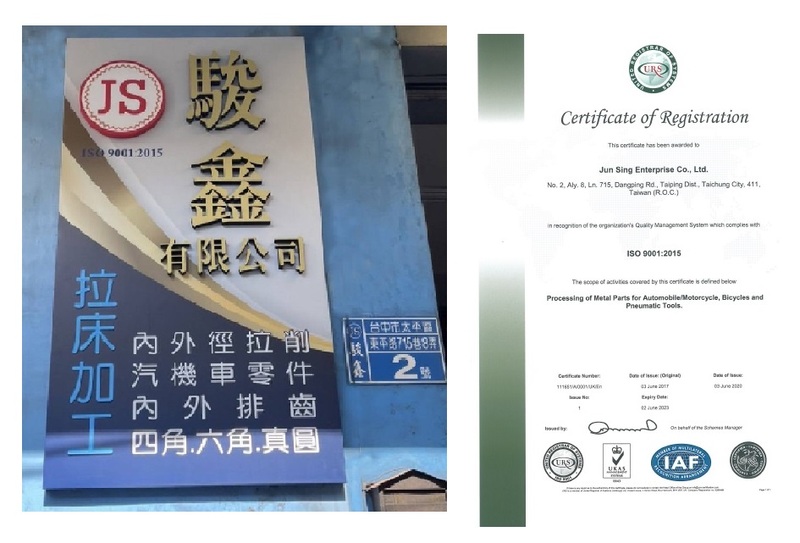 Founded in 1994 by our president Mr. Xu, Jun Sing Enterprise was initially a maker of broaching machines in 1982, but diversified into broached products in 1989 backed by know-how in broacher fabrication, currently a contractor of broaching and associated processing service. Coping with fierce market competition, we focus on R&D to consistently improve broaching characteristics and operations, being highly regarded by customers at home and overseas and having become ISO 9001:2015-certified in 2010. 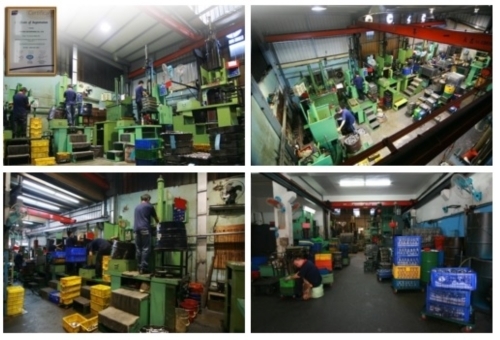 We offer ID and OD processing, including keyway, spline, internal thread, sphere, cube, inner slope, gear rack etc. for makers of auto, motorbike and bicycle parts, air tools, hand tools, hardware, sports equipment, sewing machine arbors, mechanical parts etc. Talk to us to benefit from our ample experience and advanced production facilities.